Bring the center of your living space into focus with this signature coffee table. Solid lines and an understated, heritage design lend this table a traditional look and feel that bring warmth and comfort to the heart of the living room, while its wide drawer provides a convenient space for storing essentials. 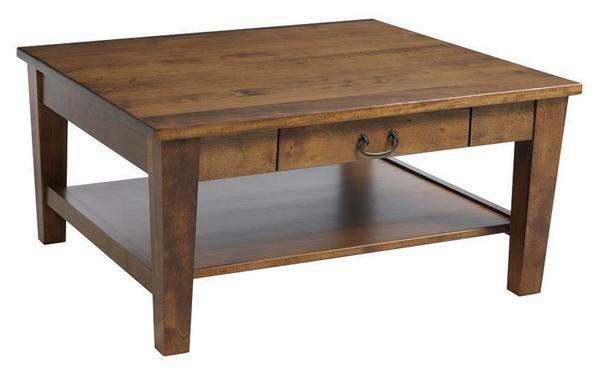 Its solid wood design - crafted to your specifications by expert Amish craftsmen in Ohio - promises that this table will become a lasting part of your family's history. Every element of this table is built by hand by American craftsmen, guaranteeing you nothing but the best in home-grown quality and care. If you've any questions at all about this piece, we would love to hear from you by phone or by email - please don't hesitate to get in touch.